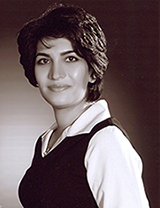 Farnaz finished her PHD, in 2015 from UTM university of Malaysia. Beside her academic experience, she is a front-end, and back-end designer. Implement new features and improve existing ones. Using VB .net and Microsoft SQL server to create enterprise web portal. Worked with a team of developers to resolve issues and optimize usability. A team member for creating educational and salary portal using visual basic. Worked with Asp .Net and SQL Server to create web based reports for stock market news and information.